The Reluctant Messenger leads the reader into a doorway into another dimension that exists simultaneously with what most people would describe as reality. 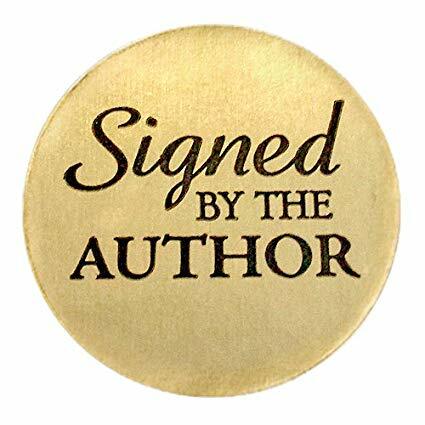 Author Candice Sanderson is a psychologist whose training taught her to engage her world by the physical senses, but that all changed on morning when she began to receive messages from other realms of existence. Follow this ordinary person’s extraordinary journey into the unknown. 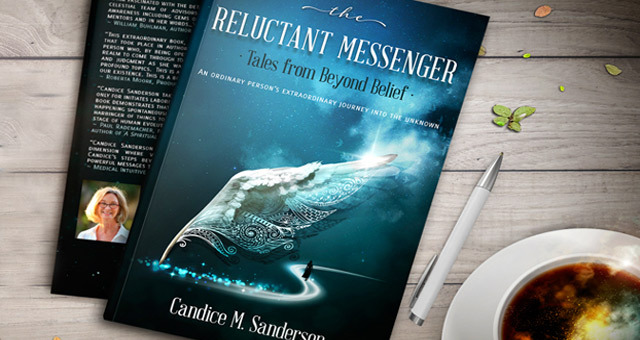 The Reluctant Messenger chronicles the spiritual journey of Candice M. Sanderson, a psychologist who inadvertently veered off of life’s comfortable path when she began to receive messages from other realms of existence. Her extraordinary journey into the unknown began early one morning on her commute to work. As a psychologist, her training had taught her to measure her surroundings by the five physical senses. It something could not be heard, seen, felt, smelled, or tasted, it did not exit. This early-morning commute changed everything. These communications were too strong to ignore, and the clinically-trained psychologist had to work through doubt, fear, and her own professional judgment to acknowledge these messages. Though reluctant, Candice became a messenger, bringing news of a verifiable spiritual dimension. She learned truths about the fluid nature of time and how near-death experiences could alter timelines. Ascended masters and beings from the angelic realms shared both universal and personal messages of love and hope. Messages from star beings and other galactic entities communicated to her about energy grids that protected our Earth. She learned of the very nature of our existence. The Reluctant Messenger: Tales from Beyond Belief is now available on Amazon. Want a FREE audiobook of The Reluctant Messenger? This link takes you to a 30-day free trial on Audible. Register then download the book to your device. It’s yours to keep even if you cancel the 30-day trial. Click here. 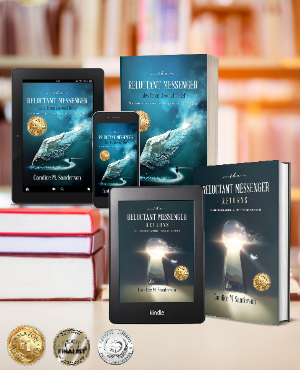 Click here to download an excerpt from The Reluctant Messenger.